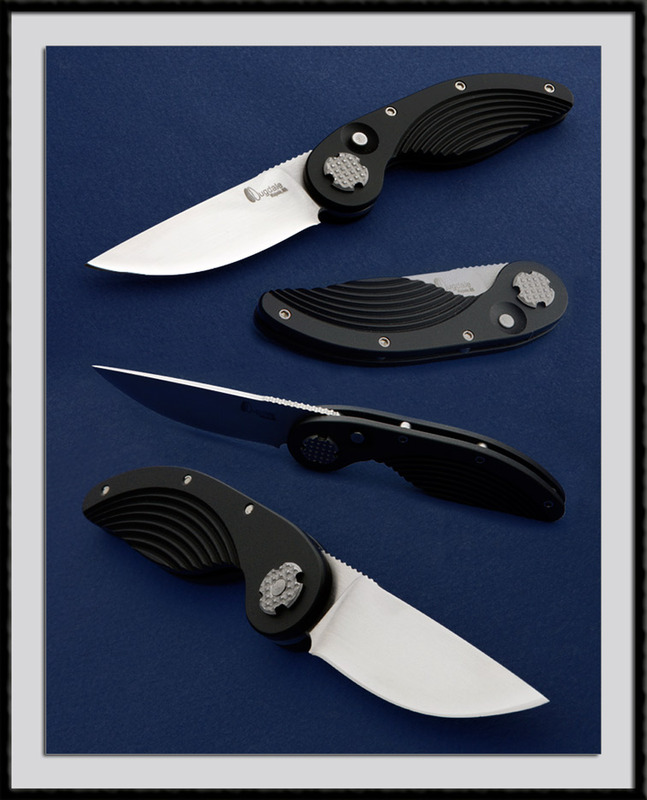 Dugdale crafted this interesting Button Release Flipper Folder, polished D2 blade steel, BL = 2 1/2", OAL = 6 3/8" with a fluted aluminum Frame. Fit and Finish are very Good. Condition is Mint.